Iranian Foreign Minister Mohammad Javad Zarif arrived in Windhoek yesterday to meet with senior Namibian officials and ways to promote bilateral ties between the two countries, Iranian media reported. Soon after arrival, Zarif spoke at a joint economic meeting of Iran and Namibia, which was attended by Namibian Minister of Industrialization, Trade and SME Development Tjekero Tweya. 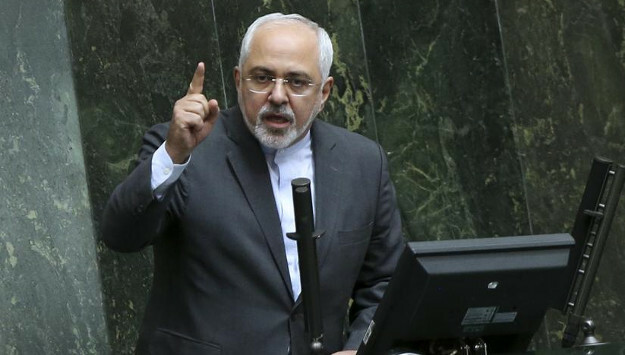 According to Tasnim News Agency, the Iranian top diplomat is also scheduled to hold meetings with the African country’s top political leaders and parliamentary members. Zarif arrived in Namibia after visiting Senegal, Uruguay and Brazil as part of a four-nation tour of Africa and South America. A senior delegation of businessmen from the private sector and trade and commerce experts from the government are accompanying the foreign minister. Zarif had pointed out that the main aim of his trip will be to bolster Iran’s economic and commercial ties with the African and South American nations. Namibian officials also said that the African country is interested to cooperate with Tehran in agribusiness and agricultural production. Namibia also welcomed the decision by Iran Tractor Manufacturing Company to establish a tractor assembly plant near Windhoek. Comment: As the Trump administration is ratcheting up economic pressure on Iran and potentially cancel the nuclear deal and reinstate nuclear-related sanctions, Tehran is seeking to expand its economic and trade ties with willing partners around the world to minimize the impact of increasing pressure from Washington. Tehran has lately tried to improve its banking relations with China, Russia, Turkey and other major economies – albeit without much success. While the Rouhani administration’s priority has been to improve Iran’s relations with the West, it has not forgotten Africa and sees it as an important region for Iran’s soft power and hard power strategies. Tehran’s efforts to improve relations with African and South American countries are not only for economic reasons. By building closer ties with African countries, Tehran hopes to gain their support in the United Nations and other international and regional platforms. Last year, the head of South African parliament said the country supports Iran’s accession to BRICS – the association of five major emerging economies: Brazil, Russia, India, China and South Africa. And as Iran is seeking to become a major exporter of small arms, African countries could also be a lucrative market. In addition, Tehran may hope that its expanding ties with African countries would serve its naval expansion plans in the future. Iran’s Central Bank has also sought expand its relations with state-run African banks. In addition, Tehran may hope that its expanding ties with African countries would serve its naval expansion in the future.